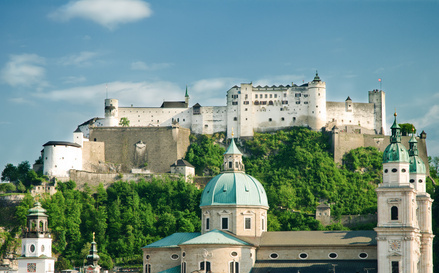 A trip to the charming Baroque city of Salzburg is always worthwhile. 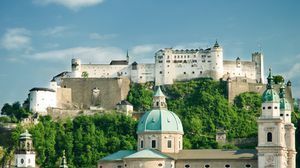 Stroll through the old town and explore several monuments: the Residence, the Carillon, the Cathedral, the Franciscan Church, Mozart Square, Mozart's birthplace and residence, the Hohensalzburg Fortress, etc. Europe's largest castle complex with the Salzburger land falconry is an exciting journey into the past. The Hellbrunn Palace is a special experience with water spraying out of every pipe and crevice. A pure pleasure - lust for life since 1615. Discover the wonders of the biggest ice caves in the world. Ice palaces and beautiful ice formations in incredible dimensions. An excursion for the whole family. 100 original buildings from the 6th Century to explore and discover. Impressive exhibitions, customs, tradition, large adventure playground and craft demonstrations bring this open-air museum to life.